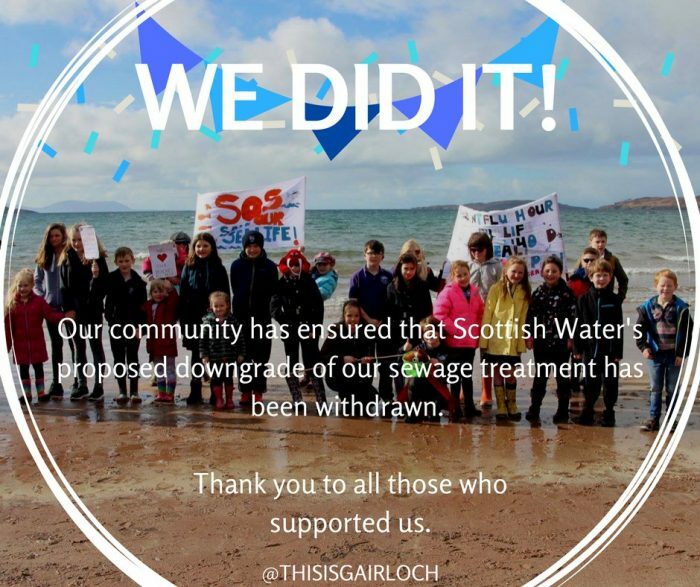 As a result of community action and concern, Scottish Water have withdrawn immediate plans to downgrade the Gairloch sewage treatment works. Any future proposals will involve consultation with the local community and a stakeholders group. Victory! Scottish Water has announced that it will review plans for the future of waste water treatment in Gairloch in light of the continuing concerns of the local community. To allow open and constructive engagement with local stakeholders to take place, the utility has withdrawn its application to amend its discharge licence at Gairloch Waste Water Treatment Works. While options are explored for a viable long-term solution, Scottish Water will continue to operate the existing plant. In order to establish open dialogue and address the concerns that have been raised, a stakeholder group will be set up under an independent chair and will involve representatives from the local community, Scottish Water and SEPA. “We recognise that customers in Gairloch continue to have strong concerns about our proposals for changes to waste water treatment in the area. We have been liaising with the local community about the development of our plans, but we have not succeeded in addressing all of the issues raised sufficiently. “In light of this, we believe it is right that we should review our plans and seek to establish a closer and more constructive dialogue with local stakeholders. “We will continue to manage the operational challenges at the existing Waste Water Treatment Works in the meantime, but we do not believe this will be the right option to protect the local environment in the long-term. “Any long-term decisions we make on the future of waste water treatment in Gairloch will be the result of full and open discussion with the stakeholder group, which we intend to establish under an independent chair. 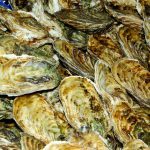 “The group will have a key role in working together to build a shared understanding of what is required at Gairloch to ensure the most appropriate solution is progressed. “I am pleased Scottish Water has withdrawn its application and will be discussing future options for waste water treatment at Gairloch with the local community. “There is now an opportunity for everyone to work together to identify an approach which provides long-term protection for Gairloch and Big Sands. “This approach must be environmentally sustainable, meet the required standards on a continuing basis, and ensure the area maintains its status as an invaluable natural asset to the local community and its many visitors. This is a fantastic example of the power of community action! Well done to all of those involved! This article was taken from This is Gairloch, originally posted 12/04/18.